Project X had another good session last Thursday afternoon working on Eulogy. We began by sitting in a circle and discussing character costumes in detail for the first time. This sparked a bit of discussion about how “first impressions last” and how a person is often judged by their appearance before they get a chance to say anything. I know this is very true as I’ve gone to a place twice, once wearing a suit and tie and once in dirty jeans and a scruffy leather jacket. I was treated very differently each time despite no dress code being stated. Some of us in Project X do like our clothes and have our individual ideas about fashion but we were all blown away when we had a wander round the ‘clothing warehouse’ of the costume department which has some incredible garments in. Everything from posh Georgian frocks to chicken suits and everything in-between. One thing we will look to do with costume is simplistically show how a person can be perceived based on how they present themselves physically…for instance Maggie going from lacking confidence and attention in her drab, everyday attire to boldly entering rooms, flirting and getting noticed for her glamorous and self-assured manner. Following this we made some notes to discuss with Lee next week on the subject as we have a few interesting costume ideas. 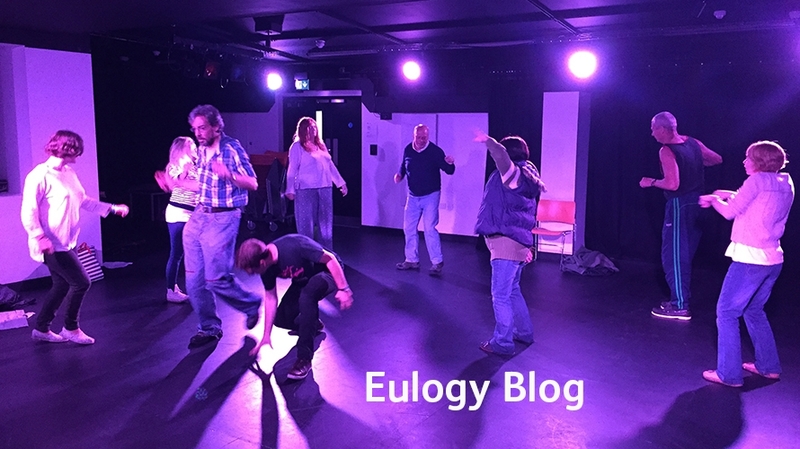 Then after our essential coffee break we picked up from where we were at the end of the last rehearsal and polished the scene expressing the ‘Decline and Fall of Maggie’. She goes from a high-class establishment spending money like there’s no tomorrow to getting involved in the darker, sleazy aspects of pleasure. We put some quality details in which really helped to improve the performance and received some good and useful feedback from Fran and Sally from the Creative Learning department. So I think Lee is going to be impressed with what we show him next week, we just need a little practice and to finalise the right music and then that bit will be completed.